This price of HP 15 Core i3 7th Gen - (4 GB/1 TB HDD/Windows 10 Home) 15-da0327TU Laptop(15.6 inch, Natural Silver, 2.18 kg, With MS Office) is valid in Mumbai, Bangalore, Delhi, Chennai, Pune, Hyderabad, Ahmedabad, Kolkata and all the other major cities in India. 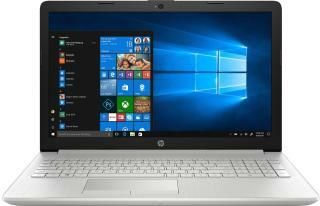 You can buy HP 15 Core i3 7th Gen - (4 GB/1 TB HDD/Windows 10 Home) 15-da0327TU Laptop(15.6 inch, Natural Silver, 2.18 kg, With MS Office) at Flipkart. BuyingIQ is not liable for the service provided by any of these store(s).